Religious identity has come to the bigger prominence in the social-political space during last few decades. The rise of communal and fundamentalist politics has vitiated the popular perceptions about ‘who are we’ and this in turn has deepened the divides in the society. Recently RSS supremo, Sarsanghchalak, Mohan Bhagwat stated (September 2012) that, “When we use the word ‘Hindu’, we refer to everyone in the Indian society—be it Hindus, Muslims or Christians—since it is a word that gives us our identity and nationalism.” Will it be acceptable to all Indians? The statement operates at two levels, one religious and two political-national. Are we all Indians, Hindus, as being stated by Bhagwat? It is true that the word Hindu itself came into use since around 8th century, when those coming from the West, Iraq, Iran to this side of the continent coined the word Hindu for those living on East of Sindhu. In their language word H is used more often for S, so Sindhu becomes Hindu. This word initially begins as a geographical category. Later various religious traditions, Brahmanism, Nath, Tantra, Siddh, and Bhakti, prevalent in this part of the continent started being called Hindu, and Hinduism became the broad umbrella for these different religious traditions. Today while in some parts of the World word Hindu still has geographical meaning, here in India and broadly at most of the places this word is primarily used as a religious category. Ambedkar, pained by the ignominies hurled on untouchables by Hindu caste system, expressed his sorrow by stating that, I was born a Hindu; that was not in my hands but I will not die a Hindu. He embraced Buddhism and left the Hindu religion. As communal politics started coming up to oppose the emerging Indian Nationalism, the feudal sections and Kings came together to give a religious colour to their opposition to emerging nationalism. In contrast to Indian national movement, they, feudal-lords-kings, posited Muslim Nationalism or Hindu nationalism. The parent organization which in due course gave rise to religious nationalist organizations, was United India Patriotic Association (UIPA) formed in 1888. In the formation of this organization Nawab of Dhaka and Raja of Kashi were the main people. Later some other middle class educated elements also joined in. This UIPA was the parent organization from which Muslim League and Hindu Mahasabha emerged. While Islam, being a Prophet based religion, did not require any redefinition, Hinduism being an umbrella of various religious tendencies required to be defined for providing a base to Hindu religious nationalism. That’s how Savarkar came up with the definition that all those whose Punyabhumi (Holy Land) and Pitrabhu (father land) is in this part of the World are Hindus. This was a political definition of Hinduism, as Savarkar was championing Hindu nationalism and wanted to exclude Muslims and Christians from being a part of nationalism envisaged by him. This definition of Savarkar also included Jains, Buddhists and Sikhs into Hindu fold, calling them as mere sects of Hinduism, which is not unacceptable to the followers of those religions. As these religions are also full-fledged religions. Now to say, as Bhagwat is doing, that all Buddhists, Jains, Indian Muslims and Indian Christians have a Hindu identity is far from true. It is in a way a political imposition of Hindu identity and thereby Hindu rituals etc. on religious minorities. In the similar vein, nearly two decades ago Murli Manohar Joshi, another RSS Pracharak, then BJP President, stated that we are all Hindus, Muslims are Ahmadiya Hindus, and Christians are Christi Hindus and so on and so forth. During freedom movement, two concepts of nationalism developed. One was the Indian nationalism, which was the hallmark of the founders of Indian National Congress. This was the defining principle of World’s largest ever mass movement, India’s freedom movement. Here nationalism is geographical and religion is personal. Majority of Indians supported this concept and joined the movement, which not only aimed to throw away the yoke of British colonialism but also laid the foundations of caste and gender transformation, and gave the defining principles of Liberty Equality and Fraternity, which came to be enshrined in our Constitution. The other Nationalism was religious nationalism, which began from the landed élites primarily and was later to divide in two parallel nationalisms, which had similar principles. These were Muslim Nationalism (Muslim League) and Hindu Nationalism (Hindu Mahasabha and RSS). These nationalisms not only kept aloof from the freedom movement, were opposed to the mass movement for freedom struggle but they also subtly protected the caste and gender hierarchy of feudal times in the name of ‘our glorious traditions’ or ‘our religion’ and so on. These religious national streams took back their nationalisms to ancient times. Muslim League claimed that ‘We Muslims are a Muslim Nation since the time Mohammad bin Kasim, established his kingdom in Sindh’. While Hindu nationalists claimed that we are a ‘Hindu nation since times immemorial’. In this understanding; projection of Nationalism to the earlier times is totally flawed. The very concept of Nationalism begins from last three centuries or so, while putting an end to Kingdoms due to changes in industries and education. Even before kingdoms, there were other patterns of society, which can by no stretch of imagination be called as Nations. These concepts of nations glorify the kings belonging to their religions, while they also demonize or look down upon kings of ‘other’ religions, forgetting that the very system of kingdoms is highly exploitative and hierarchical. At the same time during freedom movement, the ‘religious nation’ concepts gave a status to other religious minorities as the status of second class citizens. This has what has happened in Pakistan with the logic of Muslim nationalism unfolding there and this is what is happening to Indian minorities with the ascendance of Hindutva nationalism. Hindutva word is again not synonymous with Hindu religion, it is parallel to ‘political Islam’, Hindutva is ‘political Hinduism’ so to say. Golwalkar the major ideologue of RSS-Hindutva had formulated in his book ‘We or Our Nationhood defined’ that the Muslims and Christians must subordinate themselves to Hindus, else they will not deserve any citizenship rights. In India unfortunately his prophesy is getting actualized by and by, with the rise of communal violence and its aftermath. To say that we are all Hindus is a political assertion to subjugate religious minorities on one hand and to uphold caste and gender hierarchy on the other. The later part related to hierarchical inequalities is the unspoken part of religious nationalism, political ideologies based on religion. 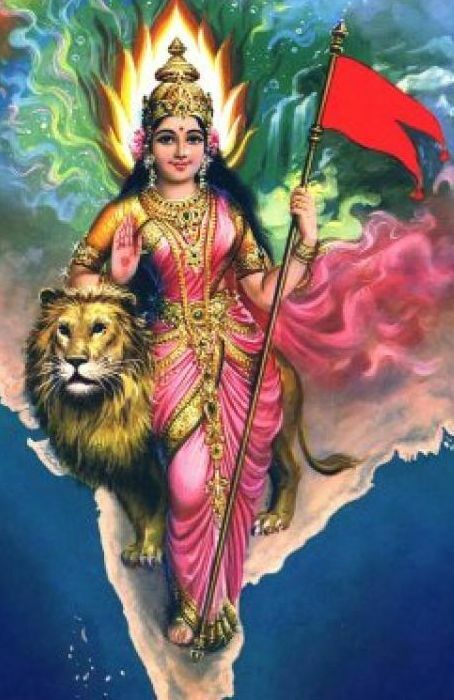 To identify Hindu with our nationalism-identity is to oppose the very concept of Indian Nationalism, values of freedom movement and values of Indian Constitution. Such political agenda of RSS as articulated by Bhagwat is to stifle the democratic space offered to us by our Constitution to all of us, including religious minorities, and is an attempt to bring back the Golwalkar’s articulation in a more shrewd way. It will also be the beginning of telling the minorities that they will have to follow Hindu rituals, and Hindu holy books, Hindu deities amongst others. So, saying that we regard all as Hindus, is not an expression of magnanimity but is a way to impose Hindu identity on religious minorities. In sum a substance, Hindu is not the identity of all Indians, its religious identity only of Hindus. And of course ‘Hindu’ is not nationalism in any sense of the word as our nationalism is Indian.